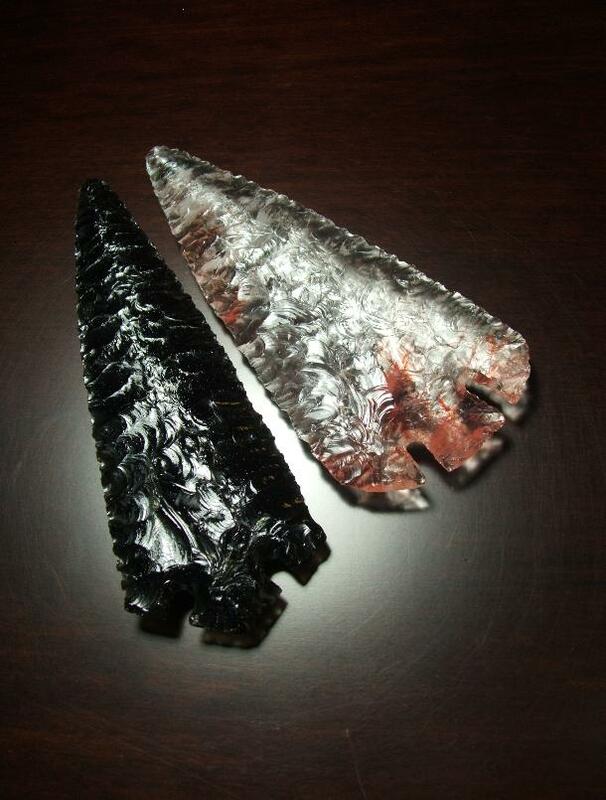 "Northern Side Notch" Style Dart Point or Knife -- 2006 A.D.
"Laurel Leaf" Style Spear Point or Knife Blade -- 2006 A.D.
point or knife blade. Produced with soft hammer percussion and pressure retouch. Heat-treated, black and white Porcelain Novaculite from Arkansas. 8-1/8" x 2-5/8". 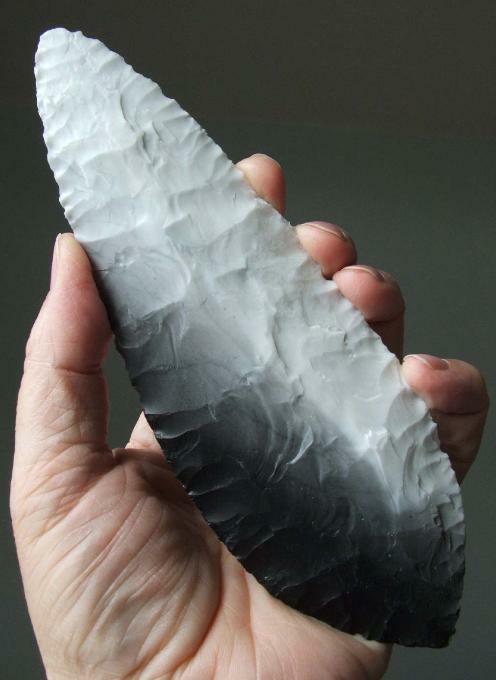 "Paleo-Indian" Lance -- Dalton Style -- 2007 A.D.
material. Made in 2007 A.D. 8-3/4" x 1-3/4". 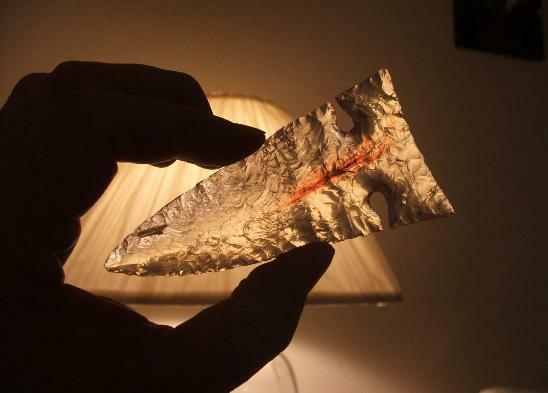 "Solutrean" Blade -- Laurel Leaf Style -- 2007 A.D.
Solutrean cultural period, about 20,000 years ago. material. Made in 2007 A.D. 10-1/4" x 2". 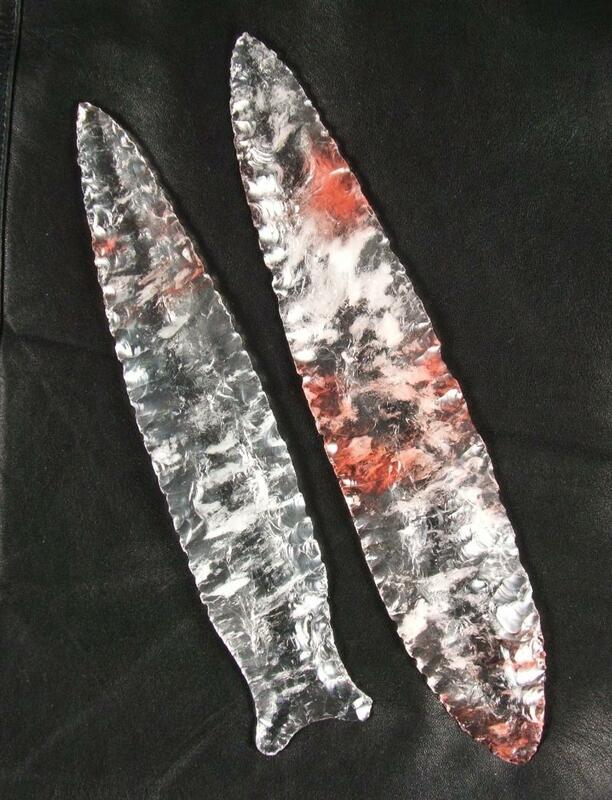 Base Notched Archaic Style Knife Blade -- 2007 A.D.
A large, wide, Archaic period style of leaf shaped, base notched knife blade or spear point. Black/Silver Sheen Obsidian from eastern Oregon. 6-3/8" x 3-3/8". 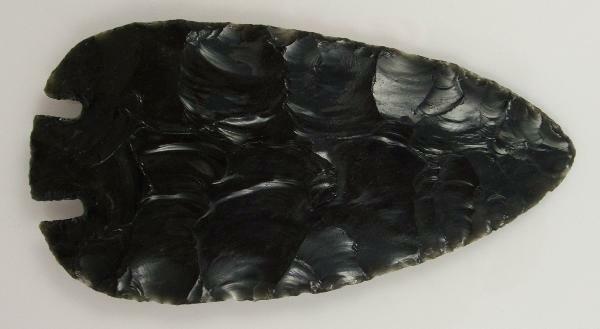 Base Notched Ross Style Knife Blade -- 2010 A.D.
Obsidian from eastern Oregon. 6-5/8" long by 2-1/8" wide. colored intrusions. 6-1/8" long by 2-5/8" wide.